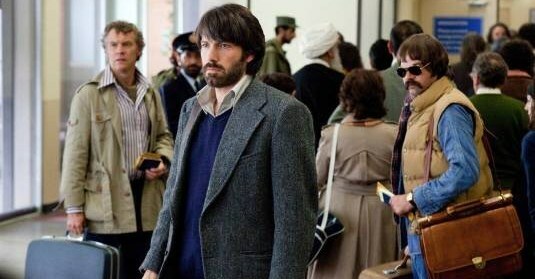 The top grossing film in the United States this weekend was Argo, an above average caper about how the CIA smuggled six embassy staff out of the country during the Iran hostage crisis. No, there weren’t any terribly sympathetic Iranian characters other than a demure domestic worker – every other Iranian is a swivel-eyed fanatic. But, to be fair, the film tosses Hollywood’s How To Demonize the Middle East rulebook at the beginning of the movie, with a good potted history. First, the Iranians democratically elected Mohammed Mossadegh. He nationalized the country’s oil, much to the chagrin of BP, and was subsequently deposed in a CIA/MI5 coup. The US installed the Shah’s tyranny which, in turn, incubated the Ayatollah. Don’t see that too often in Hollywood. The fate of the domestic worker is concisely, and wryly, observed too. The embassy workers who made it out are a quirky bunch of misfits. All of them are in the visa-issuing business, it seems, except one. The quirkiest of them all is Henry Schatz, the 31 year old agricultural attaché, played by Rory Cochrane (channeling Nick Frost) as the kind of man who probably has a small gun in the back of his underpants. Agricultural attachés, bless them – the hick cousins of the more urbane passport-stamping crowd. What could be more comic? Except that, in general, it is the job of this person to undermine a country’s food sovereignty, either by promoting the export of the host country’s food or to encourage the purchase of agricultural hardware and food from the attaché’s home country. This is known as ‘agricultural and trade cooperation’. If this sounds more than a little cynical, do have a look at GRAIN’s latest 2009 report, The Soils of War, in which you can read how consular agricultural aid has been a means for US agribusiness to get its hands on desirable chunks of Iraq and Afghanistan. Of course, the US isn’t the only country to have such bagmen in its embassies. From Australia to China, similar positions exist. And the two things such positions have in common is that they have yet to be consigned to history, and they’re not that funny. William Engdahl writes “Bremer’s Order 81 – The CPA explicitly defined the legal importance of the 100 Orders to leave no doubt that they were, indeed, orders. An Order was defined as, ‘binding instructions or directives to the Iraqi people that create penal consequences or have a direct bearing on the way Iraqis are regulated, including changes to Iraqi law.’ In other words, Iraqis were told, ‘do it or die.’ The law of occupation was supreme. I THINK THE LEGALITY OF WHAT HAPPENED CAN BE CHALLENGED. THE BREMER ORDERS WERE WRITTEN BY A COMPANY CALLED BEARING POINT. Patenting Staple Foods (Bremer’s Order 81) Is Ruinous to Iraq’s Agriculture by Adnan Al-Daini. “The UK government’s Department for International Development (DFID) is using the aid budget to tighten the corporate stranglehold over the global food system.